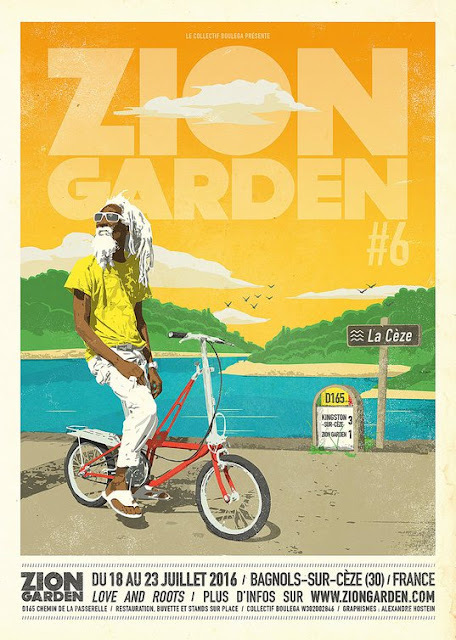 The sixth edition of Zion Garden Festival is happening from 18-23 July 2016 in Bagnols, France. The Zion Garden Festival features Concerts, Sound systems, Zen space, Market, Beach Animations, Children's Area, Conferences, Sports, Cirque Expos, Workshops and a lot more! Saturday 23 July: Big Red / Raggasonic feat Youthman (UK), Flox, Weeding Dub, Art-X, Kandee Dub + DUB CORNER by AfteR aLL sOund SysteM dès 12h toute la semaine!